Arsenal will face BATE Borisov in their Europa League last-32 first leg tie without Aaron Ramsey or Mesut Ozil on Thursday (kick-off 5.55pm). While Petr Cech is expected to line up at the Borisov Arena, Unai Emery was quizzed on the continued absence of Arsenal's highest-earner Ozil. He was not part of the travelling party to Minsk on Wednesday evening and neither was Juventus-bound Aaron Ramsey. Emery explained the decision was not a tactical one. "The players we didn't bring in the squad were because Aaron Ramsey did not train with us and Sokratis (Papastathopoulos) only started training yesterday and today - I don't think it's enough," he said. "Mesut is the same. (Pierre-Emerick) Aubameyang, after he was sick, trained on Monday, yesterday and today, and I think he's OK for the match." "We played against Vorskla in Kiev when it was below zero snowing," he added. "It's not an excuse for us, the weather or the pitch. We play 90 minutes that are the same for them and for us." As they enter pre-season to prepare for their title defence, Hleb - who made 130 appearances for Arsenal between 2005 and 2008 - conceded the game has come at a bad time. 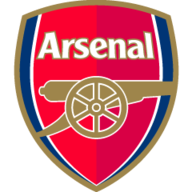 "Arsenal are at the peak of readiness, for them this is a huge plus," Hleb told Pressball, a leading sports newspaper in Belarus. "It will be hard for us, and very much so. But we will try to squeeze the maximum out of the physical form that we have gained." Arsenal have been boosted by the news that midfielder Granit Xhaka has returned to training and has made the squad. BATE Borisov and Arsenal's only previous encounter came last season in the Europa League group stages - the London side won both games, scoring 10 goals and conceding only two. BATE Borisov have lost all three of their previous home games against English clubs in European competition. They have never gone past the round of 32 in the Europa League, getting knocked out in 2010-11 by PSG and in 2012-13 by Fenerbahce. Arsenal were one of seven teams to remain unbeaten in this season's Europa League group stages, alongside Chelsea, Dinamo Zagreb, Eintracht Frankfurt, Real Betis, Red Bull Salzburg and Villarreal. Arsenal have kept a clean sheet in each of their last five Europa League games, the longest current run in the competition. 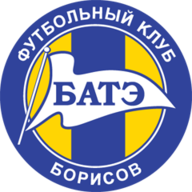 BATE have been building their reputation for a while in European football. You know Arsenal's vulnerable defence can do silly things, but they have to get the job done. Unai Emery has suffered more than anybody else. He knows his defence is a car crash, but there is not a lot he can do. Laurent Koscielny cannot do it, Shkodran Mustafi doesn't get what he is being taught, as well as the full-backs. He has made a couple of mistakes, but who doesn't? Alexandre Lacazette is not the superstar striker that everyone wants, but he does what it says on the tin. He works hard and he scores. He has to play Lacazette, there are goals in him. I don't see why he should take the risk, so I would take the strongest team and look to get the win, then give the youngsters their chance to shine in the return leg. Joe Willock, Bukayo Saka, all of those. This man takes this competition seriously and we have seen that before.